Gunthorpe is a north Norfolk village situated 5 miles south west of the picturesque town of Holt, near the A148 road. The village church, St Mary, is a pretty church that dates in part to the 14th century and records show that Gunthorpe had a population of 261 in 2001. 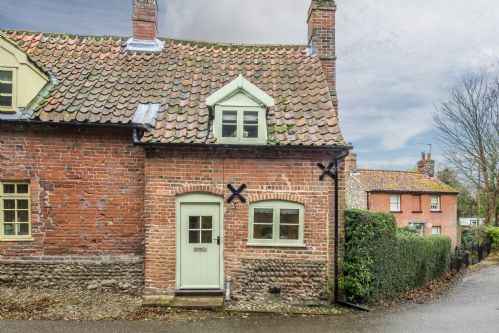 A beautifully restored listed cottage in the historic village of Gunthorpe, 10 minutes from Holt. It’s perfect hideaway for two, with charming original features and a private, sunny garden to the rear with furniture and a barbecue. 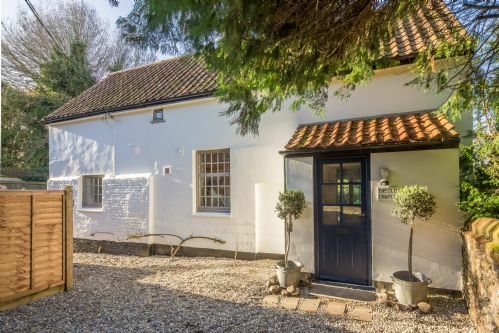 A thoughtfully restored and cosy cottage just 15 minutes’ drive from the coast. Featuring a ‘secret’ potting shed where you can enjoy romantic suppers in front of the fire, making it the ideal place for a romantic getaway. A really stunning chapel conversion - stylish, romantic, luxurious - a perfect rural escape for a couple or two. 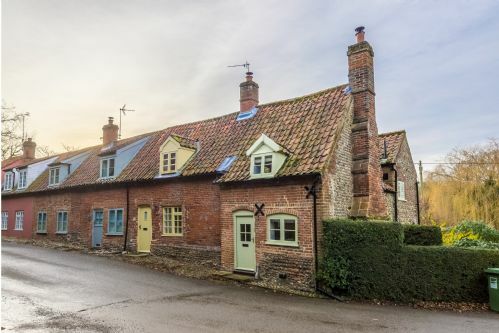 A superb brick and flint Grade II listed farmhouse set within seven acres of grounds in the village of Gunthorpe, one of the prettiest villages in North Norfolk. Totally refurbished in 2018, this stunning property offers privacy, luxurious accommodation and easy access to world-class beaches.